Peonies (Paeonia) are nostalgic flowers whose beauty and fragrance (like roses or lilacs) often bring back fond memories. By planting a variety of peonies, you can have several weeks of bloom! There are three basic types of peonies. One is sure to please, or plant all three! 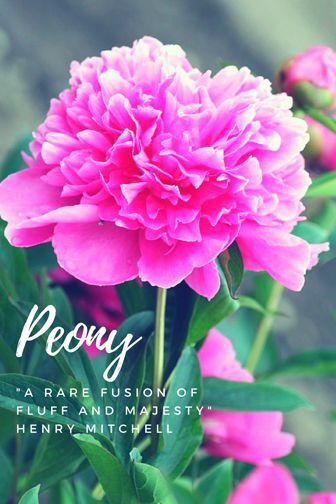 • Herbaceous peonies (or bush peonies) die back to the ground in the winter but burst through the ground in the spring to produce HUGE blooms with minimal effort year-after-year. Some of the classic varieties were originally bred for the cut flower trade. Those beautiful long stems may look great in a vase, but all too many of us know they tend to be a bit floppy in the garden, especially after a few good rain storms! Newer varieties have been bred for garden use, many are shorter in stature with stiff stems. We're particularly fond of 'Coral Charm' and 'Red Charm', although taller, they have sturdy stems that hold up well in the garden. • Tree peonies range in size from 2-4 feet tall and die back to woody stems. They have larger flowers than the bush peony and do not bend under the weight of those amazing blooms. Tree peonies are quite happy in a partially shady site, where the others prefer full sun. • Itoh (or intersectional peonies) are a hybrid of herbaceous and tree peonies, with a more rounded form of the bush peony and the beautiful blooms of the tree peony. Itoh peonies provide a broader range of colors, making them a great addition to your peony collection. Peonies and ants have a symbiotic relationship. Peonies produce a bit of nectar that feeds the ants. While there is disagreement whether ants help peony buds open, the ants tend to disappear once the buds have opened leaving behind no damage to the flower. Some things are best left to nature. The iris was named after the Greek goddess of the rainbow. Irises come in a wide range of colors. Irises provide beauty with both their bloom AND the texture of their foliage. There are three basic kinds of irises that grow from rhizomes (or thick roots—as opposed to a bulb). • Siberian irises bloom early in the spring at the same time as tulips and daffodils. Siberian irises are often seen around ponds due to their love of wet areas. Their stately, upright blooms and neat grass-like growth habit makes them a great plant for the home landscape. 'Ceasar's Brother' is a classic choice from the Siberian selections. 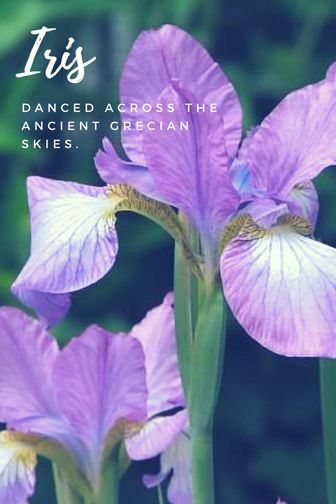 • Bearded irises (or German irises) have six sepals (resembling petals) with three drooping down to produce “falls.” Many bearded irises bloom in late spring, but some varieties have occasional later blooms. Bearded irises thrive in well-drained soil. • Variegated irises are known for their showy green foliage with golden or cream stripes, making it a great addition to the landscape at any time of the year. Variegated irises can be quite fragrant. The light purple flower on both Iris pallida ‘Albo’ and 'Aureo' smell like grape bubblegum! The Growing Place carries over 20 varieties of both peonies and irises. We are here to help you choose the perennial favorite in the color, texture, size, fragrance, and bloom time that will thrive in your soil conditions and will keep your home landscape beautiful all season.